Bunny Runs with Scissors: Hello my name is . . . Frank! Hello my name is . . . Frank! 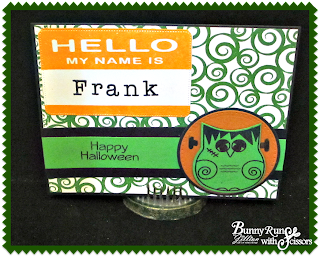 Today I am featuring AJVD's Newly revised Hello My Name Is Too 4x8 Stamp Set. Jillian wanted it to fit the layer of the Minnie Pearl Tag Die Set so she revised it and updated the alphabet to go with it! Also new is this CUTE Curls Background Builder Cling Stamp as with all the Background Builder Stamps, they fit the Backdrop dies! For this card I stamped the Curls in Emerald Green Ranger Archival Ink. Then stamped FrankenHootie in Black Archival Ink on green card stock, decided placement for the "bolts" stamped them and then used Scrapbook Adhesives by 3L® 3D foam squares to pop Hootie out from the Circle and Polka Dot Circle layers. 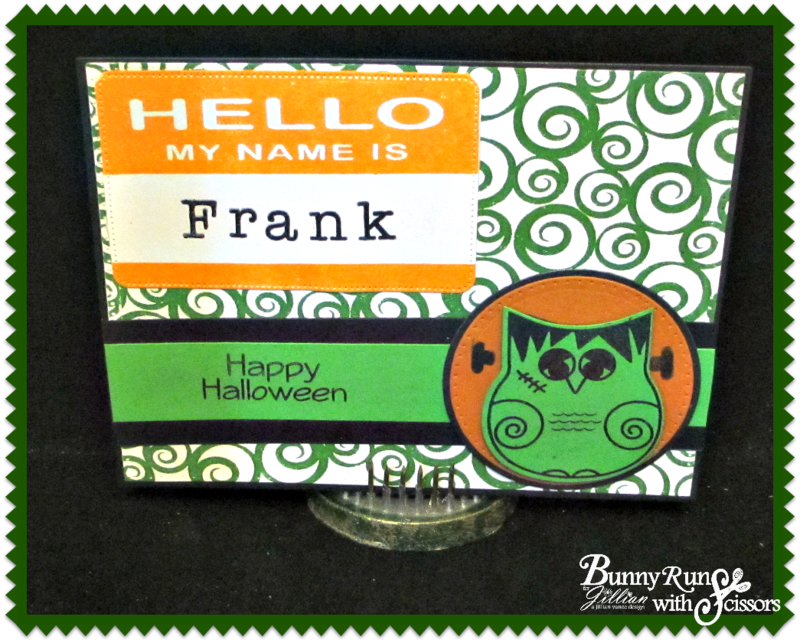 The Name tag was stamped in Orange Blossom Wendy Vecchi Signature Archival Ink by Ranger and die cut with the layer to the tag.